If It’s Tuesday, this must be Rome. That’s not what we built our company upon. 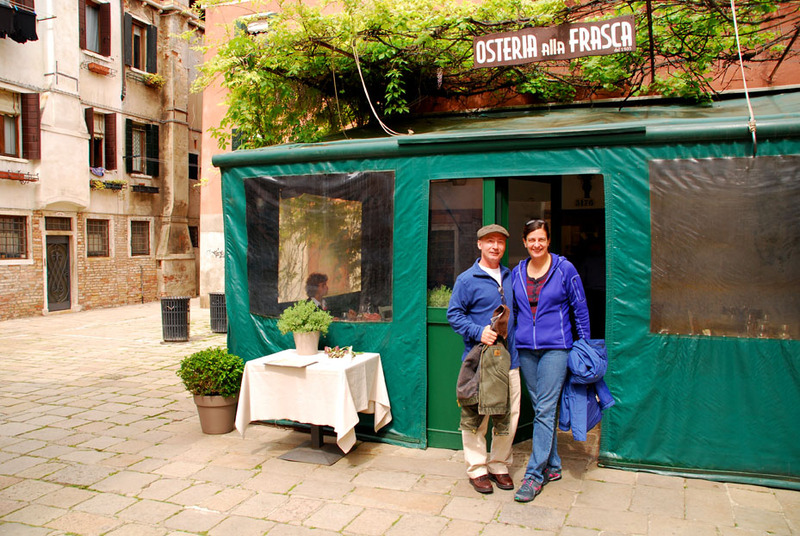 Two clients from Chicago on their first trip to Europe found the ‘real’ Venice, away from the tourist crowds during their private tour with us in April, 2014. We take the time to show you the back roads and the hidden places known to locals only. This sets us apart from the dawn til dusk, rush-rush-rush itineraries of the so-called ‘bargain’ bus tours and cruises. Our goal is to create a lasting memory and vacation for you. If you want to have a carefully-planned trip that is organized but still leaves time for spontaneous sightseeing and adventure, then here we are for you. You are going to come back to Europe someday, aren’t you? Tourists see Europe. European Focus clients experience Europe. Posted in Europe Tours and tagged custom, designed, difference, fast, private, rush, tours, trips.